Cast iron dutch ovens are an ideal choice for making stews and soup over a camp fire or slow cooking a roast in your oven. 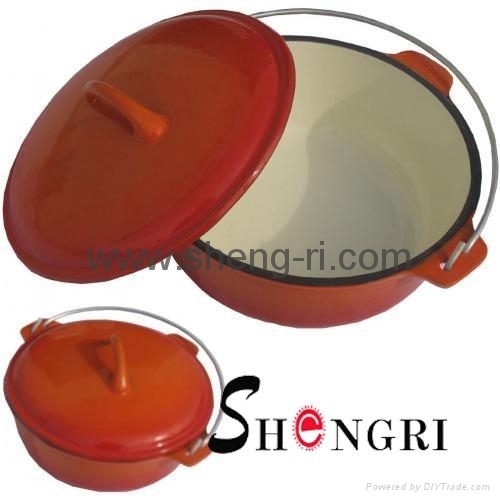 Cast iron dutch ovens can also be used for baking over a camp fire, which makes it one of the most versatile styles of cast iron cookware. 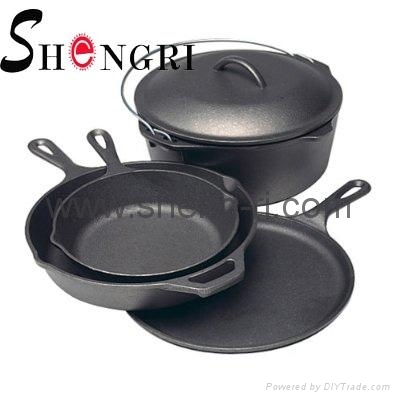 Cast iron skillets or frying pans are the best way to fry, saute or even cook an omelet. In fact, many people use their seasoned cast iron skillets for everything from warming butter to frying steaks on their stove top.